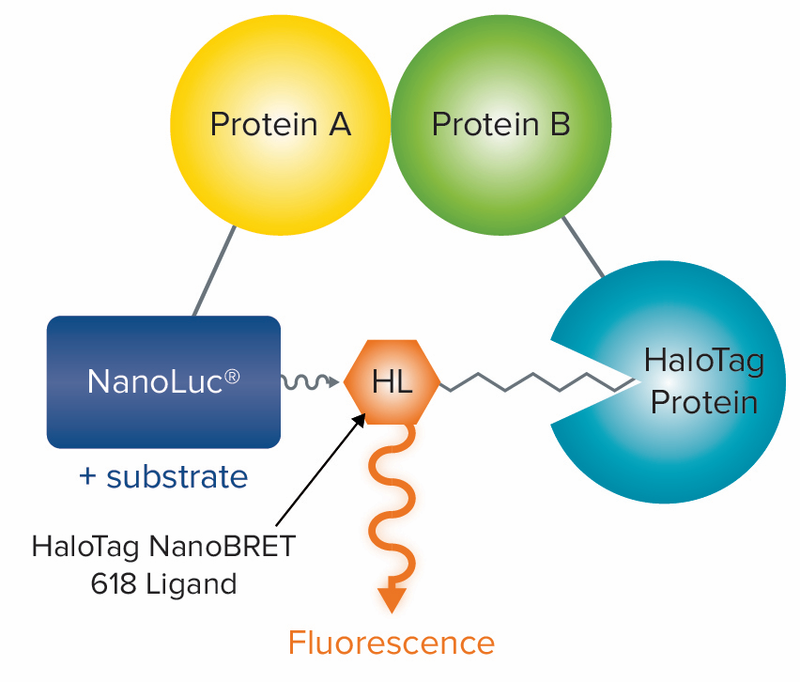 BRET (bioluminescence resonance energy transfer) is a technique for measuring protein-protein or protein-ligand interactions that involves the interaction of a bioluminescent donor and a fluorescent acceptor. NanoBRET™ technology from Promega improves upon earlier generations of BRET with increased signal, better sensitivity, and lower background, enabling detection of protein interactions within the context of living cells. 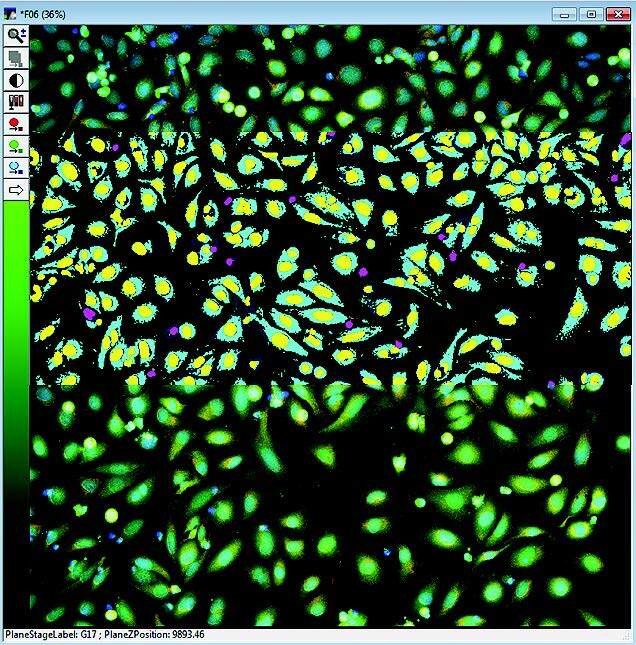 Here, we describe the validation of SpectraMax® iD5 Multi-Mode Microplate Reader with NanoBRET™ PPI Control Pair, consisting of interacting protein partners p53 and MDM2. New Curve Fitting Algorithms in the MetaXpress® High-Content Image Acquisition and Analysis Software (MX 6.5) were designed to facilitate data visualization and the secondary analysis of data. The new features allow users to generate a curve of best fit to a series of data points. With multiple functions including 4-parameter logistic, and multiple curve outputs, such as EC50 and benchmark response, an array of graphs and curves can be generated to best represent data. 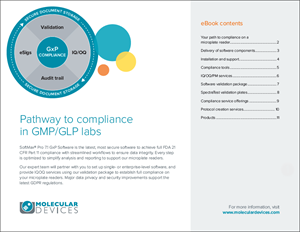 SoftMax® Pro 7.1 GxP Software is the latest, most secure software to achieve full FDA 21 CFR Part 11 compliance with streamlined workflows to ensure data integrity. Every step is optimized to simplify analysis and reporting to support our microplate readers. We will partner with you to set up single- or enterprise-level software and provide IQOQ services to establish full compliance on your microplate readers. Major data privacy and security improvements support the latest GDPR regulations. 3D cultures are recognized as more closely recapitulating aspects of the human tissues including the architecture, cell organization, as well as cell-cell and cell-matrix interactions. In the application note, we optimize high-content imaging for evaluation of treatment effects on 3D neuronal networks and utilize 3D volumetric analysis to enable characterization of neuronal networks and provide quantitative measurements that can be used for defining EC50 values and comparing toxic effects of selected compounds. The neuroscience field has been missing a model able to capture the uniqueness of human brain development and function in vitro in a highly homogenous fashion for developing new drugs to treat nervous system disorders. Scientists at StemoniX® tackled this gap by developing the microBrain® 3D platform. 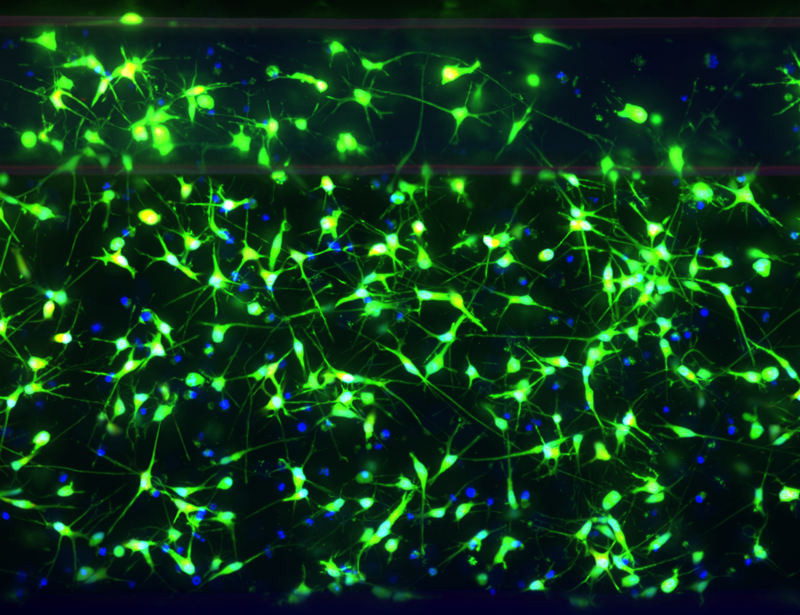 Using hiPSC-derived neural progenitor cells, they created highly homogenous 3D neural cortical spheroids that more closely resemble the human cortical brain. They designed their platform for use in conjunction with Molecular Devices FLIPR Tetra® High-Throughput Cellular Screening System and the ImageXpress® Micro Confocal High-Content Imaging System, enabling homogenous assessment of functional human brain physiology in vitro. 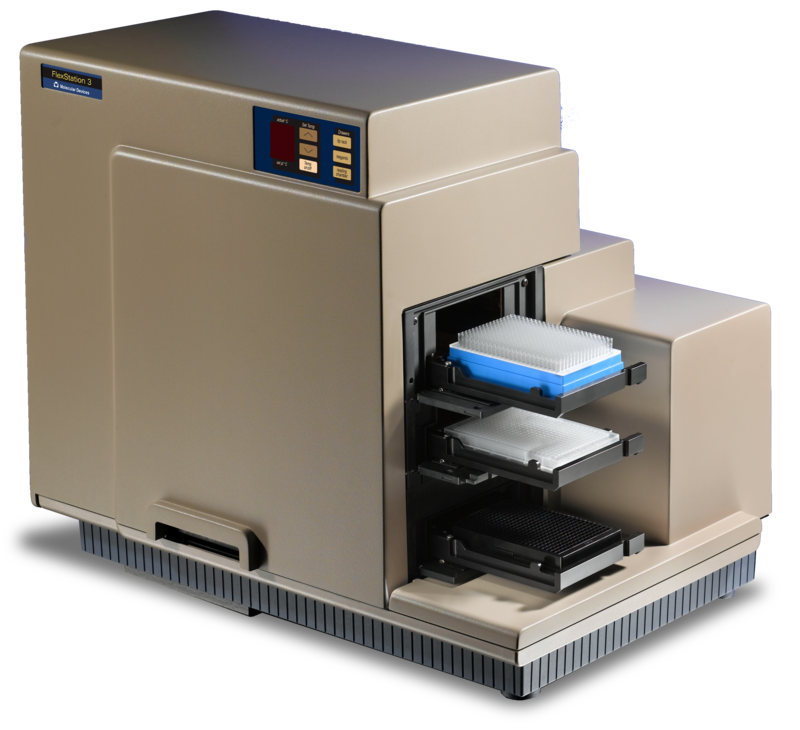 The FlexStation® 3 Multi-Mode Microplate Reader was used to measure absorbance as shown in Molecular Pharmacology.